Property 7: LUNENBURG OCEANFRONT ON 20-ACRES. 2BR 2BA. GREAT RATE! Property 15: Two Story Guesthouse Located On The Shores Of Beautiful St. Margaret's Bay. Property 17: Serenity Cottage borders the beautiful Coveside Stable in Chester. Property 18: DELIGHTFUL WATERFRONT 2BR/2BA HOME IN CHESTER'S BACK HARBOUR W/DOCK. 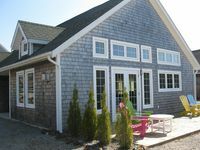 Property 21: CUSTOM LUNENBURG 2BR HOME WITH PRIVATE HILLTOP SETTING, BEACH AND PATHWAY. Property 32: Ocean View From Every Room. 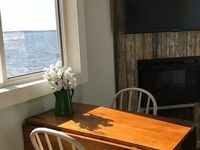 Property 37: DELIGHTFUL MARITIME COTTAGE W/OCEANFRONT GAZEBO & LIGHTHOUSE VIEWS. Property 39: This elegant,cosy seaside home with breathtaking ocean views, can sleep six.